Autumn is on in Copenhagen and being the most warm and beautiful I’ve experienced so far. The temperatures are so mild and makes it unbelievable that there is just two months until Christmas. But let us enjoy all the leafs and autumn colors around now and as I love to do - I've been browsing online for our autumn wardrobe wishlist. Below is two outfits I find perfect for this season. For Walter a knit hat in dark mud marble added a sweat tee in grey blueish from Repose ams. A pair of Petit Nord winter boots in navy. I like the classic style and also that it is waterproof (TEX) and with 100% natural wool lining to keep Walter’s feet warm. Added a ribbed velvet trouser in khaki from Caramel to complete this autumn look. Just like autumn and winter last year, I would love the cute bambi alpaca hat from Oeuf for Holger. I find him so cute with it. Added the soft woolen jacket from Engel, which has become an essential item each season for both boys. 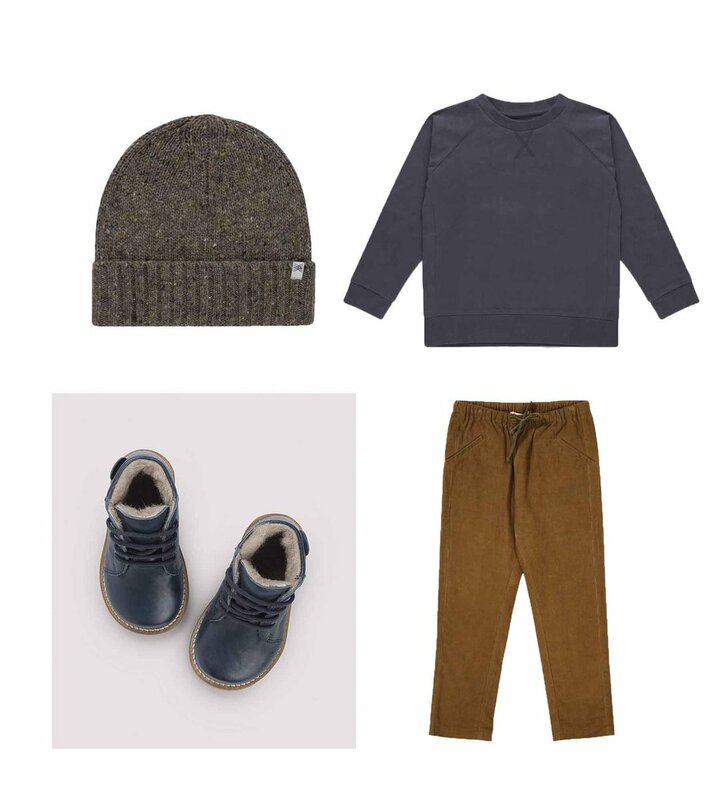 A soft and warm cotton blouse in carbon grey from Co Label and his first winter boots from Petit Nord in a beautiful cognac color to keep him comfortable with his first steps outdoor. …and happy halloween next week.